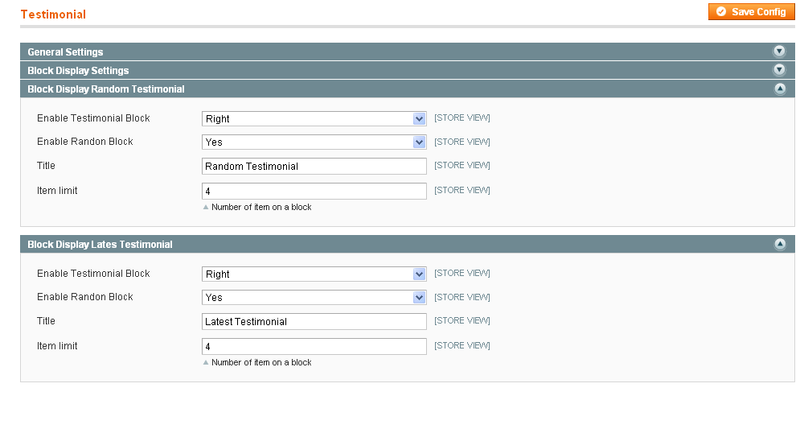 This extension allows customers to summit testimonials easily and administrator can manage them in admin section. The submitted testimonial isn't showing up in front end until it is approved by administrator. 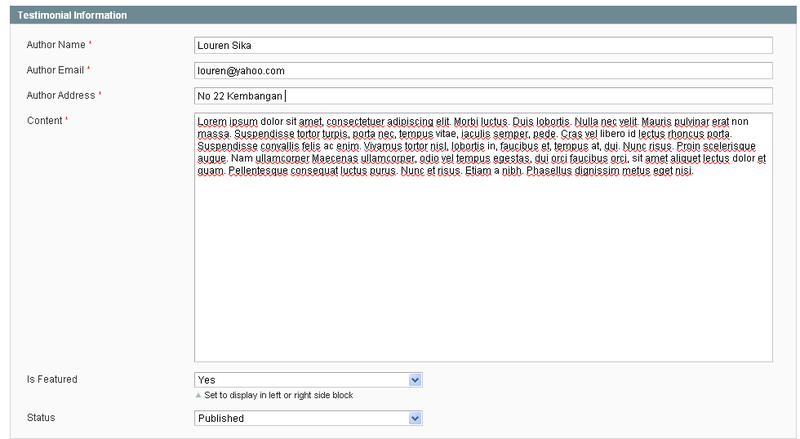 The admin can add, approve, modify and delete a testimonial. 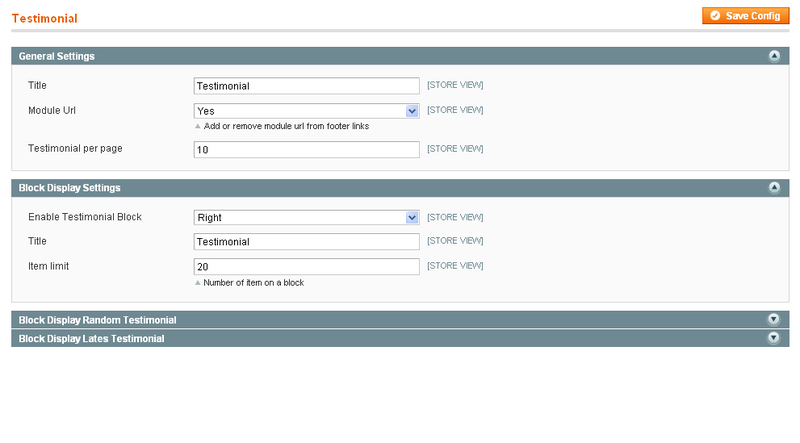 Administrator can also set testimonial as featured and all featured testimonials will be show in sidebar. There is an option that allow you to show featured testimonials in the left or the right side depend on your site interface with prototype scroller. I found this very useful to stay on top of key metrics such as conversions. I hope this will translate into a better run store!